Macular degeneration is one of the most common causes of blindness today, but early diagnosis and proper treatment can make a big difference for Los Gatos, California area patients. 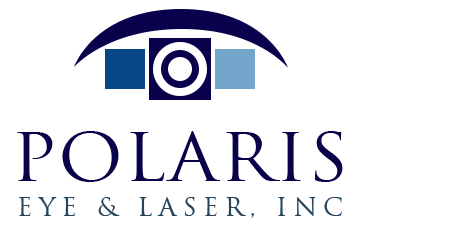 At Polaris Eye & Laser, Dr. Jeehee Kim will work with each patient to help them maintain good vision for as long as possible. Macular degeneration is a condition in which the middle part of the retina, the macula, is damaged or starts to break down. Since the macula is largely responsible for clear central vision, macular degeneration can cause some serious vision problems. Eventually, macular degeneration can cause an almost total loss of central vision. This can mean that certain activities like reading can become extremely difficult. The most common type of macular degeneration, age-related macular degeneration, is the most frequent cause of serious vision loss in people age 65 and up. About 90% of people who suffer from macular degeneration have dry macular degeneration. In this kind of macular degeneration, metabolic byproducts accumulate in the retina, causing vision problems. Wet macular degeneration is more serious, but is quite rare. When the Bruch's membrane in the eye breaks down, new blood vessels appear. Since those blood vessels are highly delicate, they easily leak or bleed. This causes scarring in the macula and can cause total loss of central vision over time. Although there is no true cure for macular degeneration at this time, recent research indicates that age-related macular degeneration patients can benefit from certain vitamins and supplements. Antioxidant-rich vitamins and zinc have been found to lessen the impact of age-related macular degeneration. People who are at high risk for advanced macular degeneration (who already have age-related macular degeneration) may be able to slow the progression of the disease with vitamins C, E, zinc, and zeaxanthin. Although vitamin supplements are not a cure for age-related macular degeneration, they can be very helpful in preventing it from growing worse.The earlier that macular degeneration patients are diagnosed, the sooner they can start taking proactive steps to maintain their vision. 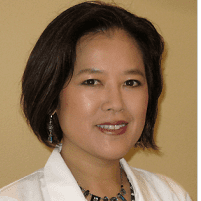 Dr. Kim at Polaris Eye & Laser is happy to discuss treatments for macular degeneration and will help patients determine which supplement schedule may be most beneficial for them.